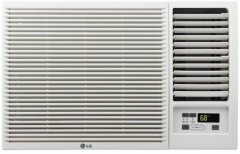 Based on this 's aggregated ranking of 85%, we believe that the LG LW8016HR is, as of now, Alphachooser's best LG air conditioner 2019. Furthermore, we think that our sample of 173 reviews from our sources gives us a high confidence level (more on confidence levels) that justifies labelling it a "no-brainer best choice." 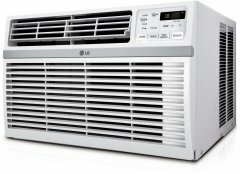 Based on 4 stars averaged over 739 reviews, here is second best LG air conditioner. * By the way, this list is based on a full computation of hundreds of reviews from across the web. A window-type 8000 BTU air conditioning unit with an energy efficiency rating of 10.8 running on a 4-way air dispersion system. A portable 12000 BTU a/c designed to balance air circulation and humidity (within 400 square feet) through its oscillating air vents and dehumidification function respectively. 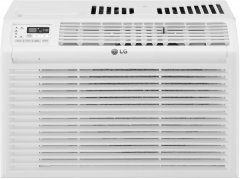 An archetypal low-profile 12-inch (12.38, actually) high window-mounted 8000 BTU air conditioner that has an 11.3 EER (which is relatively high) and comes with its own remote control.